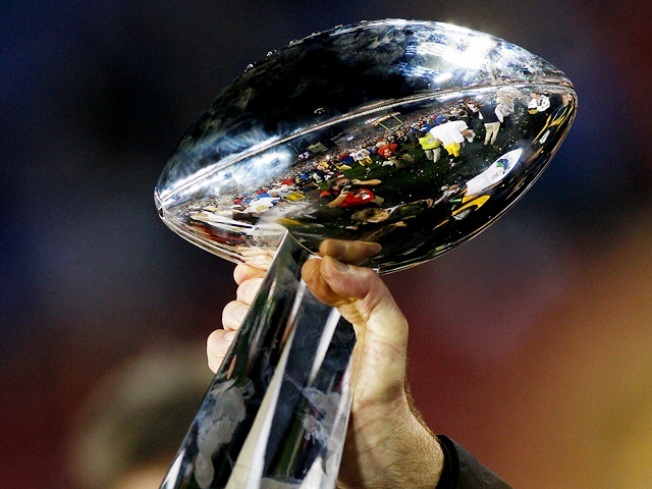 The battle for the coveted Lombardi Trophy will be livestreamed this year. NBC and the NFL will team up to stream the Super Bowl and several other football games live over the Internet. The unprecedented broadcasts will mean the championship, the league's Pro Bowl and NBC's wild-card playoff games will be able to be viewed on computers, mobile phones and other web-connected devices. The games will be streamed online at NBCSports.com and NFL.com through SNF Extra, which features an HD broadcast, DVR-style controls, additional camera angles, in-game highlights, live statistics and interactive elements. NBCSports.com and the NFL have streamed games online since 2008 with SNF Extra, NBC Sports' exclusive video, but this is the first time playoff games have been streamed. “We are especially excited to now bring our unique and innovative SNF Extra video experience to the NFL playoffs, Pro Bowl, and Super Bowl,” said Rick Cordella, vice president of NBC Sports Digital Media. NFL Mobile from Verizon will stream the broadcasts for the first time on a mobile platform, the NFL announced. “We are pleased to work with our partners NBC and Verizon to bring our fans more ways to watch their favorite sport during their favorite time of the year,” said Hans Schroeder, NFL senior vice president of media strategy and development. The Super Bowl is Feb. 5 in Indianapolis. The game is annually by far the biggest attraction on television, with last season's Packers-Steelers matchup drawing a record U.S. audience for any show with 111 million viewers.